The Asian Development Bank (ADB) submitted the Jogighopa Multi-Modal Logistics Park (MMLP) pre-feasibility study report to the Ministry of Road, Transport and Highways, Government of India, on 19 June 2018. The Government of India (GoI) requested for ADB's support to conduct MMLP pre-feasibility studies at select locations, including Jogighopa in Assam, India. The second India-Myanmar-Thailand Friendship Motor Rally successfully completed a journey from India to Thailand on 3 December 2017. The rally was flagged off from Guwahati, India, and proceeded toward Myanmar, passing through Kalay, Bagan, Mandalay, Yangon, and Mawlamyine. The rally then crossed the border to Mae Sot, Thailand, and reached Bangkok via Sukhothai. India has signed investment agreements worth $31 million at the Integrated Transport and Logistics Summit in New Delhi, India. The agreements form part of the Government of India’s holistic approach to spur infrastructure growth, according to Mr. Nitin Gadkari, Road Transport and Shipping Minister, India. The BIMSTEC free trade agreement (FTA) currently under negotiation by the inter-regional organization could benefit the region's trade by helping operationalize production links among member countries and eliminating non-tariff measures within a mutually agreed timeframe. BIMSTEC members are also considering a single visa proposal and extension of the BBIN transport agreement to Myanmar, Thailand, and Sri Lanka. The Bangladesh-Bhutan-India-Nepal (BBIN) Friendship Motor Rally which began on 14 November 2015 in India's Bhubaneshwar, Odisha, concluded on 2 December 2015 in Kolkata, West Bengal. The 19-day 4,500-kilometer car rally was held to promote the BBIN Motor Vehicle Agreement (MVA) and strengthen ties in the BBIN subregion. According to Road Transport and Highways Secretary Vijay Chhibber, the BBIN MVA will drive growth in the right direction for all four participating countries. 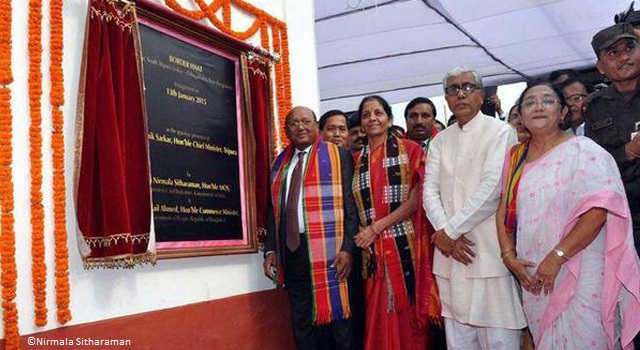 The Government of India flagged off the first cargo truck under the Bangladesh-Bhutan-India-Nepal Motor Vehicles Agreement (BBIN MVA) on 1 November 2015 for a trial run from Kolkata, West Bengal to Agartala, Tripura, passing through Dhaka, Bangladesh. The cargo vehicle traveled a distance of only around 640 kilometers, compared to its longertraditional route of 1,550 km. Indian Prime Minister Narendra Modi is considering a proposal to establish a rail bridge linking Rameswaram, a coastal pilgrim center in Tamil Nadu and Thalaimannar, Sri Lanka. The two countries would be linked if the project materializes. The construction of a sea-bridge and an underwater tunnel linking the 23 kilometer stretch between Talaimannar, Sri Lanka and Dhanushkodi, India is under discussion, according to India’s Transport Minister, Nitin Gadkari. The sea bridge would help expand the trans-South Asian Association for Regional Cooperation road and transport network. 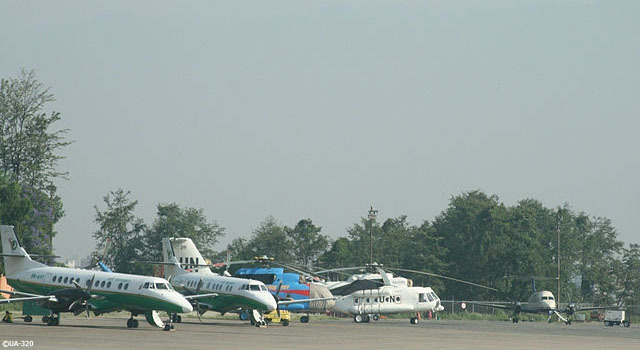 The Bangladesh, Bhutan, India, Nepal (BBIN) transport ministers met in Thimphu, Bhutan on 15 June 2015 to endorse and sign the Motor Vehicles Agreement for the Regulation of Passenger, Personal and Cargo Vehicular Traffic between Bangladesh, Bhutan, India, and Nepal (BBIN MVA). 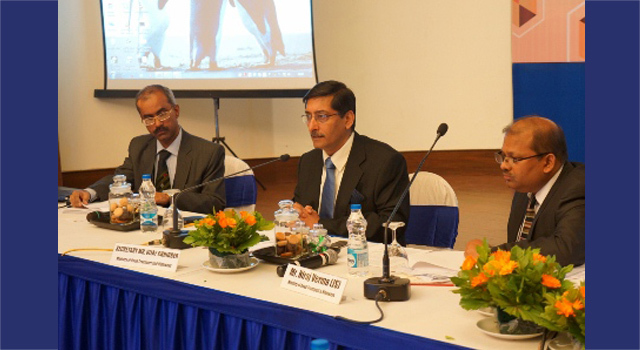 The BBIN MVA facilitates land transport arrangements among the four countries. 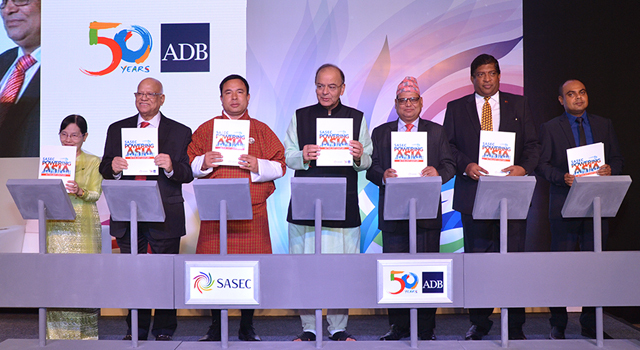 In a move toward subregional cooperation, transport ministers of four South Asian Association for Regional Cooperation countries – Bangladesh, Bhutan, India, and Nepal – will meet in Thimphu, Bhutan on 15 June 2015 to sign the Motor Vehicles Agreement. This will allow seamless movement of vehicles through their borders, similar to European Union countries. 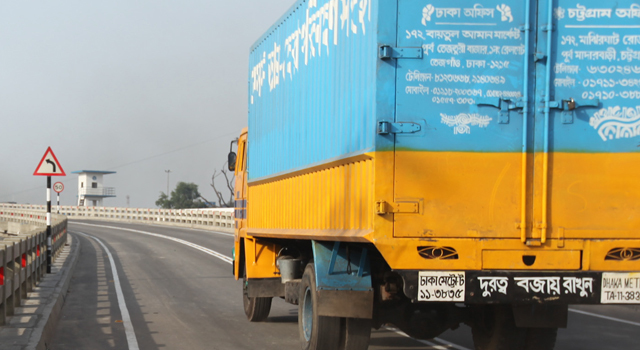 ADB and the Government of India signed a $300 million loan agreement on 26 March 2014 to improve road connectivity and increase domestic and regional trade along the North Bengal-Northeastern Region international trade corridor. 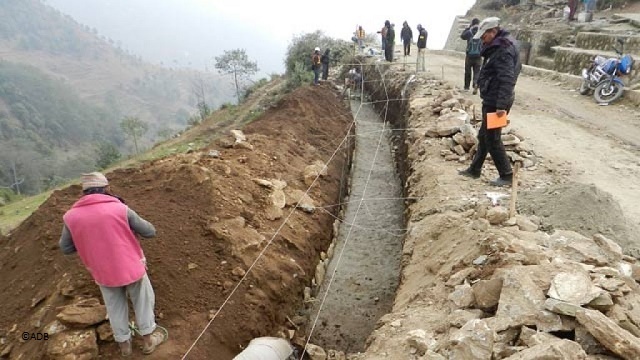 This loan is the first under a $500 million multitranche South Asia Subregional Economic Cooperation (SASEC) Road Connectivity Investment Program (SRCIP) approved by ADB in 2014. Integrating sustainable development into the Asia-Pacific region's transport sector was a key focus of the Fourth Session of the Transport Committee organized by the United Nations Economic and Social Commission for Asia and the Pacific (UNESCAP). The event, held on 15-17 October 2014 in Bangkok, Thailand, was attended by over 120 participants from 34 countries, and discussed key aspects of transport policy and initiatives promoted by ESCAP. Sri Lankan President Mahinda Rajapaksa marked the completion of the 38 km long Pallai-Jaffna railway line under the Indian credit line of $800 million last 13 October 2014. The reconstruction of this Northern Railway line by IRCON International Ltd, a public sector enterprise under the Government of India, links Sri Lanka’s conflict-ridden Northern Province to Colombo. In the largest gathering of transport officials and industry and sector professionals in Asia and the Pacific, the Asian Development Bank’s bi-annual Transport Forum 2014 discussed project updates, transport policies, and best practices, including new innovations in sustainable transport. Panel discussants on cross-border transport in Asia featured customs as the biggest challenge in regional growth transport. 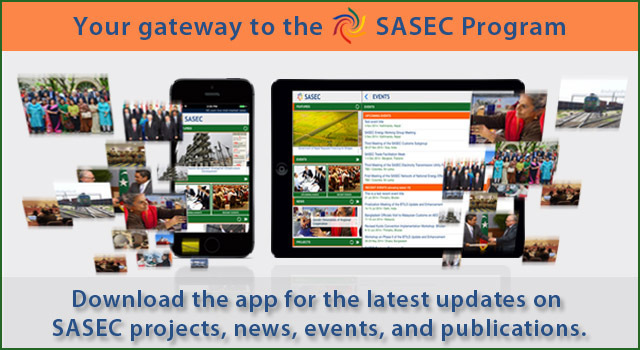 The Asian Development Bank (ADB) approved a multitranche financing facility of $500 million for the SASEC Road Connectivity Investment Program (SRCIP) in March 2014, which aims to increase domestic and regional trade through North Bengal and Northeastern Region (NB-NER) of India. The overall investment program will rehabilitate and upgrade about 500 kilometers (km) of regional connectivity roads, including both national highways and state roads. On 17 February 2014, the Government of India and the Asian Development Bank (ADB) signed a $125 million loan for the second tranche of the ADB-financed North Eastern States Road Investment Program, approved in 2013. Reconstruction and rehabilitation of more than 236 kilometers (km) of state roads in Assam, Manipur, Mizoram, and Tripura will contribute to increased transport efficiency in the project area, as well as better mobility and accessibility in the wider North Eastern region of India.